This is an interview with a tiny house builder named Abel who owns and operates Zyl Vardos. 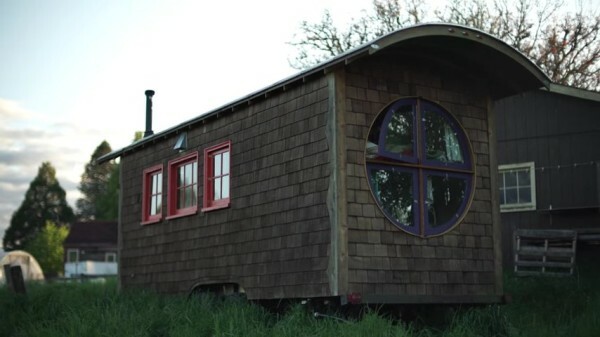 He has been designing and building custom tiny houses on wheels for other people for the last 5 years. Below you’ll get to take a tour of his workshop and explore many of the tiny houses he’s built thanks to Tiny House Giant Journey and their amazing YouTube channel. Please enjoy, learn more, and re-share below. Thank you! I love every build this man does. a wonderful artist and designer/craftsman. Abel Zyl builds the best tiny houses on wheels HANDS DOWN. I always love looking at Zyl Vardos. It’s like going to a museum of art. You always see something marvelous that inspires awe regarding the unique and special artistic talent of some people born with the gift. Each and every vardo is a journey into a fabulous place that you end up feeling like you never want to leave. Amazing how some artists can produce this effect with their art! Thanks, Lisa! I love Zyl Vardos too. One of my fav. builders. I wonder how much Abel would charge me to build me one? So many beautiful tiny homes to choose from. Maybe build one with a little bit of everyone would be great. Thanks for sharing Abel! I love knowing about Adam’s builds, he’s so inventive. Will you ever be doing a newer interview (yourself) with him, Alex? The builder, Zyl Vardos, makes art out of everything he touches in his workshop, and the names of the homes are so intriguing, you just have to see what he’s come up with. Like “pinafore” and “ark,” etc., they rein you in. Dewdrop reminds me of a gypsy wagon! Who wouldn’t want one of his creations, even if you just put it in the backyard and use it as a getaway without going anywhere! That was a great video. He seems to be as whimsical as his artistic tiny houses! Lol! What a wonderful time his little girl must have with her daddy. Love all his amazing tiny houses! Thanks for sharing this. . .